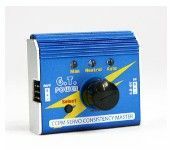 -The device also can be used as a signal generator for electric speed controller (ESC), then you can test your motor system without using a transmitter and receiver. ◎Manual mode: turn the knob with different speed, check the reaction time. ◎Neutral mode: make the servo go back to the neutral point. ◎Automatic "window wiper" mode: make the servo swing like a window wipers in the biggest angle. *It can connect 1-3 servos simultaneously and test such as 1-3 servos consistency and so on. * You can also connect 1-3 ESC to test and compare their reaction time respectively. 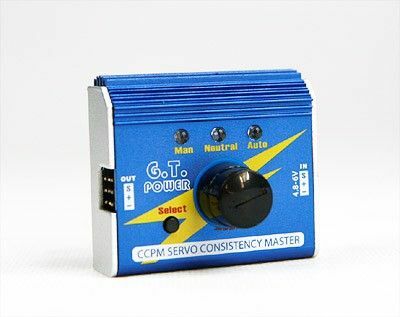 * It can connect 3 servos of the CCPM helicopters and select servos. * It can also connect the servo of airplanes install the steering-box and adjust planes by using such as the neutral mode and so on.